Great suspension. One handed unfolding. Lie flat car seat is fab for long car journeys. Two handed folding. Awkward to get car seat into isofix. Quite small shopping bag. I needed a car seat that my little one could be in for over 3 hours at a time. The matrix light is fantastic for that and doubles up as Moses basket. It’s quiet awkward to get into the isofix, but I do like the front facing position to strapping baby in, rather than awkwardly leaning over them. The trider is a great pushchair, it’s large and fairly heavy but feels sturdy and has a great suspension for all terrains. I like the hand control brake and single handed unfolding. To fold up needs two hands and it’s not the smallest when folded but does fit in my small boot with the wheels taken off. I am in love with this pushchair, mostly because of the car seat. It has a lay flat option, is beautifully made and gives top comfort for baby. We used it for our 2nd child and plan to use it for our 3rd. It attaches easily onto the pushchair and the pushchair itself is sturdy, steers well and has great suspension - essential for those curbs! There is also plenty of basket space for all your shopping. I bought this pram with my first child 5 years ago and loved it. The feature of the carrycot turning into the car seat was the biggest appeal for me. You don’t have to wake your child up to change them to a car seat, the button to adjust the system is easy to push as well. The carrycot feature is amazing, allowing you to drive with the child laid down in the back meaning you can drive for longer without worrying about them being in the car seat for too long. When the baby gets older the system does get very heavy to lug around! However weighing the cons and pros I kept it and I am going to use it with my next one! I love it. I have used this pram with both of my children now, it's brilliant. The lie flat car seat was the reason we bought it. It's easy to put together and take down. Secure in the car when travelling and doesn't take up as much space as other prams in the boot. It's great for shopping trips and a walk in the park. It's very sturdy and will last throughout. Amazing pram! This is a great pram particularly if you spend a lot of time in the outdoors. We love this pram. We got it when our son was born and are using it 3 and a half years later for our daughter. It's robust, stylish and great for anyone that loves the outdoors. My partner and I couldn't choose between the trider and the rider. We went for the rider, I regret it. My baby is 3 months old, so far the break has broken, the wheels creek, the liner inside the matrix is white and so ball'y already. The footmuff and liner covers are sold Sep and cost collectively £120!! On top of this our handle is loose, when it's up straight the break won't even close (located on the handle). My 3 month old baby is too big for the matrix already and we were told it would do until he's at least 22lbs or a year. I can't rate this product any lower. We spent £715+ on this pram in the woods colour and a vinicci at £500 would have done so much more and wouldn't be falling apart after 3 months. I love this buggy! When searching for a buggy I needed a good off-roader for dog walks and a sturdy enough buggy to be able to run with. The trider does the trick! It has adjustable suspension for different terrain and is so easy to manoeuvre. The matrix light 2 car seat attachment is a lie flat car seat which is ideal for longer journeys and is highly recommended for the first 6 months of baby’s life. It then has 4 different angles that you can sit it at to grow with your baby. Easy to transfer from the chassis to the car and back. I would recommend the isofix base as securing it my seatbelts is a bit trickier. Storage underneath isn’t great but Jané do sell a mesh “shopping bag” that can be attached to the frame. I would certainly recommend this product!! You won’t regret it. I had this pram for my first baby, and absolutely loved it. The fact the bassinet laid flat was perfect and it was great off road as the suspension on the tyres took the majority of the shakes out before the reached baby sleeping. Good value for money compared to similar products. Great colour and comfortable to use. Doesn't go down as flat as I would like but still good value for money, in my opinion. Very sturdy and secure. 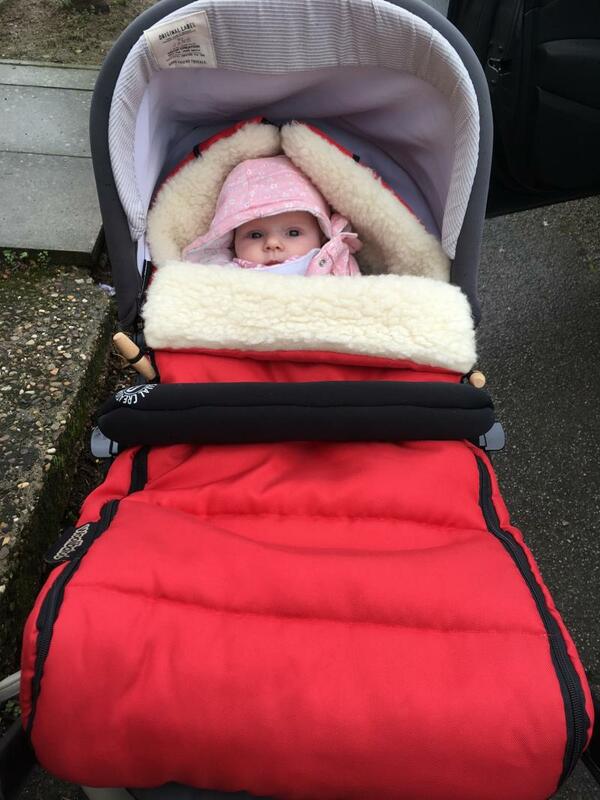 We love our Jane trider matrix 2 travel system which we purchased for our first baby. Although it’s quite big and can be heavy lifting in and out of the car, it’s an extremely stylish pushchair. We love that it is easy to fold and can be pushed on all kinds of terrains. Our little girl now 6 months old must find it so comfortable as sleeps when ever she is in it. Easy to steer, easy to fold, unique colors available. Right, I love my pushchair. It's unique (got it in the brown edition partly because it was cheaper but also different! And doesn't show the mud), it's easy to use, steer, fold. Looks to be comfortable for baby as the bouncy along, always sends my girl to sleep which is a God send! The car seat/carry cot is PERFECT. Means you don't have a wasted carry cot they use two times and then stick in the loft. My carry cot carseat has been thoroughly used! Gave me freedom to walk to town and get a lift home without worry of car seats. My girl looks like she had space and it mean not waking her from car to pushchair without her being left scrunched up into a car seat. The seat unit for after the carry cot is spacious, comfortable, easy to attach and so light. The whole pushchair is a breeze to push my 5 year old can easily control it. The basket is surprisingly good, it looks small but I've managed to fit more in than I originally thought! Cons- as I have said, I love my pushchair. My only real downsides are that the matrix car seat is on the heavy side, bit of a workout with a heavy baby in it. But not impossible for me. But if you had any reason why you wouldn't be able to manage doing some heavy awkward lifting, then definitely not suitable for you. The basket is a tad small, but I've never struggled to carry my shop in it, just know your limits. The price varies for colours, like most brands but again annoying if you love a blue but don't want to waste money on a £100 price difference. The bag included is basic. It's OK but nothing fancy or special. Overall, a great buy. Great for woodland walks, beach strolls, shopping trips etc. I walk most places and for a walker this is perfect. May be a tad bulky for someone in a car 99% of the time. This pushchair is great, it’s easy to steer and easy to fold down. I love taking my baby for a ride in this . Would highly recommend. Easy to fold, easy set up, great for forward or rear facing, very comfortable ride! Great stylish pushchair. Loved that it has 3 wheels and my daughter was always happy riding in it. Super easy to assemble, and fold when not in use. I can do everything one handed which will come in handy when the next little one is here. So happy with our choice! Not necessarily a weakness but it can sometimes stick when trying to fold down. I love Jane products. I have this as well as the twone and a few other accessories (such as footmuffs). I think they are so well made, beautifully crafted and so safe and secure for baby. They fold down and are compact enough to fit in a smaller car boot. 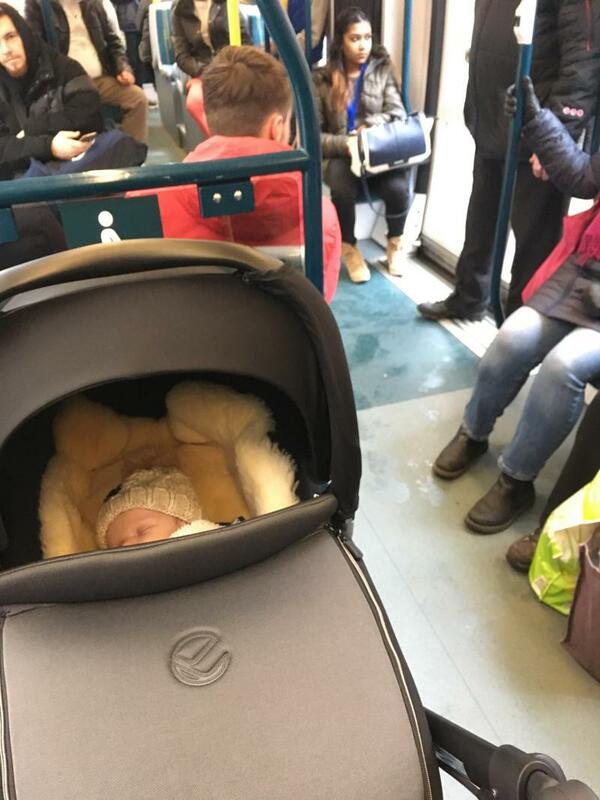 I have the isofix so I use the pram/car seat as main car seat. I love the fact it can lie down as well as sit up, so baby is always comfortable. Only thing I found was the rain cover did tear really easily next to the velcro. I would absolutely recommend a Jane pram to anyone. Yes they can be expensive but fof a travel system we were willing to pay more and so pleased we did. The quality, the look, how its made is beyond incredible. You will not be disappointed. Easy to push. Lightweight to push . Comfort. Really enjoyed this pushchair . It is very sturdy for the bumpy walks. One of my favourites. Easy to fold. It is lightweight when pushing but is is a heavy pram. Would definitely regiment this though. Loved this for my LG especially using the carrycot as a car seat I could take this everywhere. Will be buying another for my NB. I have Jane Matrix Slalom travel system and I couldn't ask for better pushchair. Carrycot lays flat and I don't need to wake baby up by transferring it from car seat into carrycot. Highly recommended. After a lot of research on pushchairs and talking to friends I knew that we needed a pushchair which had a pram element to it to ensure that the baby would be laying flat. In addition I was also really worried about car seats as I knew babies couldn't be in the car seat for more than 2 hours at a time without at least a 30 minute break. This gave us a dilemma as we are in the car a lot for work and for travelling between the North and South West. I also knew that we needed a pram that was all terrain. Armed with our criteria we stumbled on the Jane Trider with Matrix 2 which after careful consideration was the one for us even though the matrix 2 carrycot is heavier compared to its competitors but it was an all in one solution. The matrix 2 is not great for long journeys as the baby can lay flat, but we have also purchased the mattress for the matrix 2 so that when we are away for the night the baby will be able to sleep in the carrycot as well. Its been a win win situation. 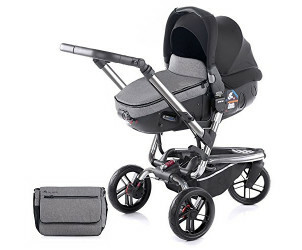 The chassis itself is well built with the C section at the back so that I am not banging my ankles against the back of the pushchair ensuring I stand upright at all times great for my weak back. It also works for our situation as we live down a uneven drive way and I walk along many different bridle paths that this works really well for us. Its being a great addition for our growing family. The puschair is perfect just cat seat /carry cot is heavy. Very easy to fold and very good to fit in car. I think the carry cot is a bit small for baby. its saying will fit till 9 months but i dont think so. I was looking at this from the day I feel pregnant and was wonded it was a lot of money to spend on a Puch chair but so so worth the price. My husband's family live 2 hours ago and the fact it can lie flat so we don't have to worry about restricting her breathing it a huge weight of our minds plus the added fact we always have a bassinet with us means when doing over night trips we have less to pack. You can also use it with or without an isofix base, so we didn't have to buy another car seat for my husband's car. It's sturdy and built to last and they sell spare parts of you want to make it look new again. Good pram for children, might be difficult to fold into small spaces like small car boots, small living spaces as the wheels are big at the back, would be better if there was a better and different range of colours to suit everyone and if it came with the matching accessories such as a changing bag then the value for its money would be much better. sometimes the wheels at the front spin too much when getting up the kerb! I love this pram and its design. Its neutral colours. Its so easy to set up & take apart. even the pushchair part it great. its design is brill. its looks really comfort for my daughter to sit in and she looks so content and happy in it! As mum i love it, I needed something that would be easy when out and about & be able to get in & out the car. Its quality of the material is lovely. And it feels so nice and secure. which makes me happy. Its great and i would recommend it to everyone. I have dogs and horses so needed something tough and sturdy for use on muddy fields. I have to say the Trider ticks a all the boxes! I love this buggy! The interchangeable suspension and lockable wheel make this a true all terrain system! Tough through mud and bumpy tracks and easily turned while out shopping! I also never realised how much I needed a lie flat car seat until I had one! No need to disturb those naps by putting in and out of the car. Also it gave us much more freedom to travel in the car for longer. My parents live a good 4 hours away so we were able to go to see them worry free. The only downside really is it is heavy once folded and it does take up a reasonable amount of space in the car. This doesn't bother us though as we have a big car and used to lugging heavy things in and out of it! In all, I am extremely happy with my Trider and feel it suits our lifestyle perfectly. 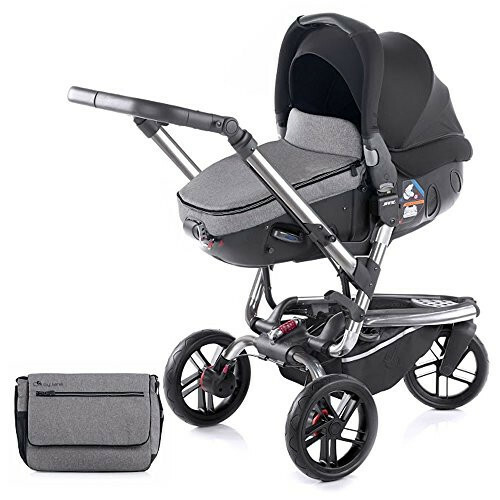 The Jané Trider matrix light 2 travel system / pushchair is lightweight and easy to push, and thanks to its 3 large, puncture-proof wheels it is ideal for all terrains. Its patented folding mechanism reduces its folded size by an extra 30%, making it extra easy to transport and stow. 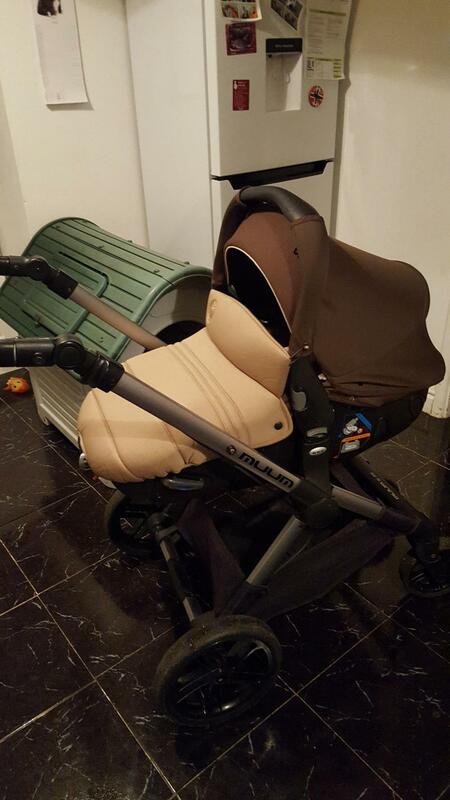 The Jané Trider's seat unit can be used in the parent facing or facing outward. Includes a height adjustable, soft touch handlebar and multi-position reclining backrest. Suitable from birth to approx. 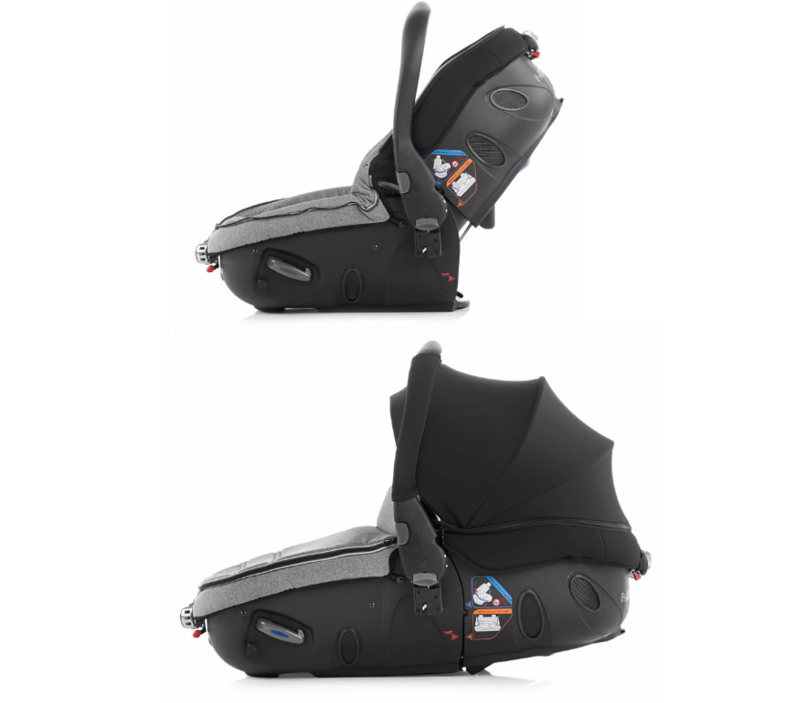 18 months (13kg), the Jané Matrix Light 2 is a group 0+ car seat with a lie-flat position, ideal for newborns. The backrest has four recline positions for added comfort, and a five point safety harness for security. Suitable for overnight sleeping when used with a mattress (available separately). Install with your vehicle's seat belt or an Isofix base (available separately). 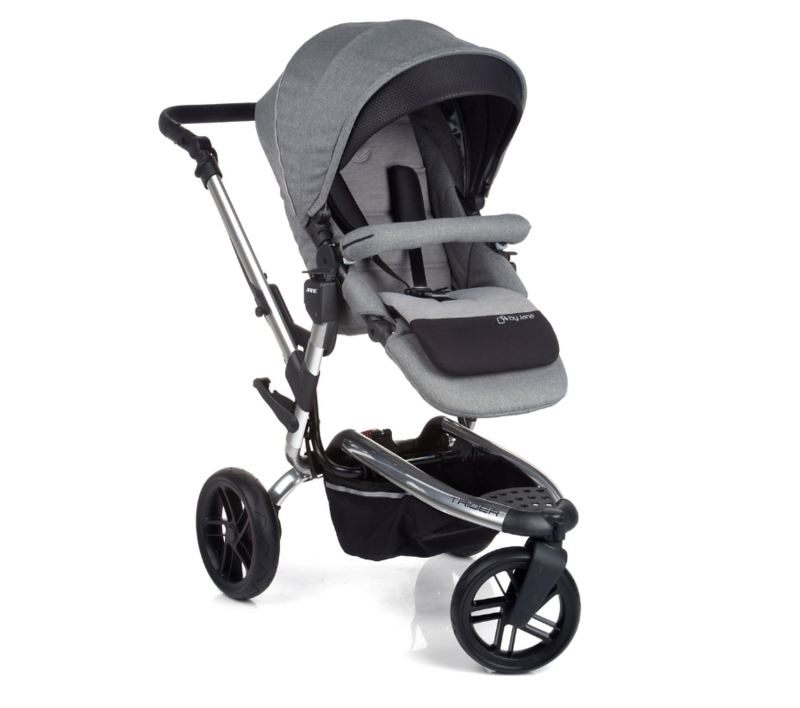 The Jané Trider Matrix Light 2 Travel System also includes a changing bag, raincover and seat liner.